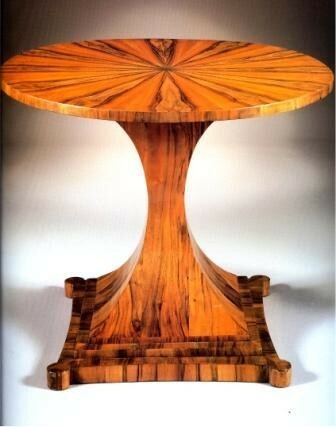 A contemporary table that works well, although originally attributed to the Biedermeier Style. Today an eclectic mix of old and new is quite appropriate. Some elements need to be included such as the architectural shape and design elements in this table. Not only is the design a feature but the type and pattern of the wood add to make this table special.